We've all got relatives who live different lifestyles than the one we choose to live. Some more liberal, some more conservative, some more religious, some less religious. Sometimes these relatuves are close relatives and sometimes these relatives are distant relatives. It turns out that Benny Gantz, candidate for Pirme Minister of Israel, is no different, and many of his relatives are hassidim around the world, including extreme anti-Zionist hassidim such as Satmar hassidim. According to Kol Hazman, a reporter from Kav Itonut, contacted one of Gantz's cousins, a Rav Hillel Dov Gantz in Williamsburg, to talk about his cousin. It is meaningless. As I said, we all have cousins who live differently than we do. How any one person chooses to live his life does not imply how I or you choose to live our lives is any better or worse. But it is interesting. Especially when one is extreme anti-zionist and the other is extreme zionist to the point of being chief of staff of the IDF... I dont know which side of the family is more of the "black sheep" than the other. 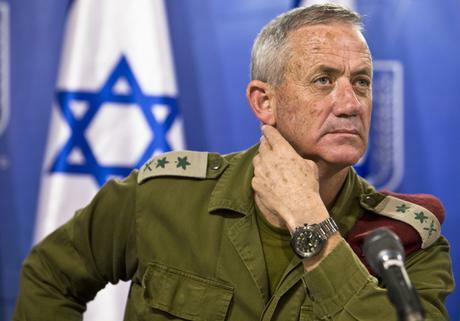 So, according to the interview, Benny Gantz's grandmother covered he rhair. His great grandmother was an old Yerushalmi woman who went to shul to daven 3 times a day with a minyan. He said the entire family knows Benny and have all kept track of his career and are all embarrassed by him and disclaim him. He said Benny brings shame to the family. The one comfort to them is that a long time ago they heard Benny puts on tefillin daily - but that was a long time ago and they dont know if he still does or not. Rav Gantz said they know he is running for PM of Israel but they hope he fails and loses the election. He anyway won't get rid of the "draft decree" so what do they gain form him being head of the "kofrim".